We are a friendly Church with 48 members. 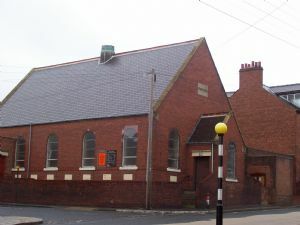 Our church hall is available to hire, maximum capacity 60.
will be happy to discuss this with you. You can contact Ivan using our contact form. Sunday Morning Service - 10.30am. (Weekly). Evening Service - 6.00pm. (Fortnightly). Monday Boys Brigade. - 6.00pm. (Weekly). Wednesday Wives & Friends. - 7.15pm. (Fortnightly). Saturday Coffee Morning. 10.00 – 11.30 am. (Weekly).